Thrilled Scott is receiving such rave reviews for Doris And Me. Attended Wed. night, which was the Red Carpet Event, with all proceeds being donated to DDAF. It was a packed house, and Scott far surpassed anything I could imagine prior to attending. 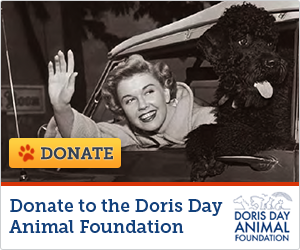 It's a must see; it's "feel good"; it's everything Doris is and more because Scott has captured all of our hearts. Love, Love, Love it. Go and see it, even if it's not in your immediate home town. If you need to drive a couple hours, it's worth it. Just make it a night away from home. You won't regret it; I promise.